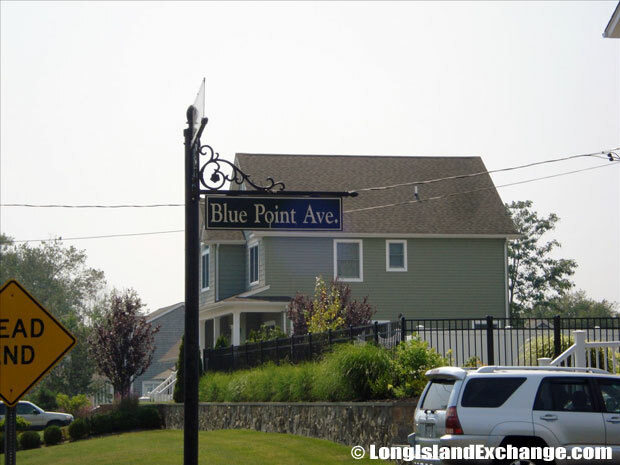 Blue Point is a hamlet and census-designated place located in Suffolk County, on the South Shore of Long Island, New York. It is within the Town of Brookhaven. As of the 2010 census, there were 4,773 people, 1,631 households, and 1,258 families residing in the CDP. The median income for a household in the CDP was $79,576 and the median income for a family was $85,009. Males had a median income of $59,355 and only $45,342 for females. The community has a total area of 1.8 square miles, of which, 1.8 square miles of it is land and 0.56% is water. The latitude of Blue Point is 40.743N. The longitude is -73.035W. It is in the Eastern Standard time zone. Elevation is 10 feet. The Blue Point Fire Department is organized with 3 companies: Hose Company, Engine Company and Hook and Ladder Company. 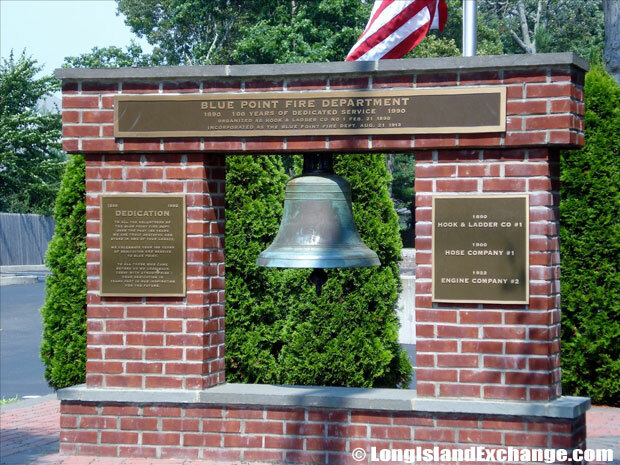 Formed in 1890 the Blue Point Fire Department has been a part of the local community from its beginning. 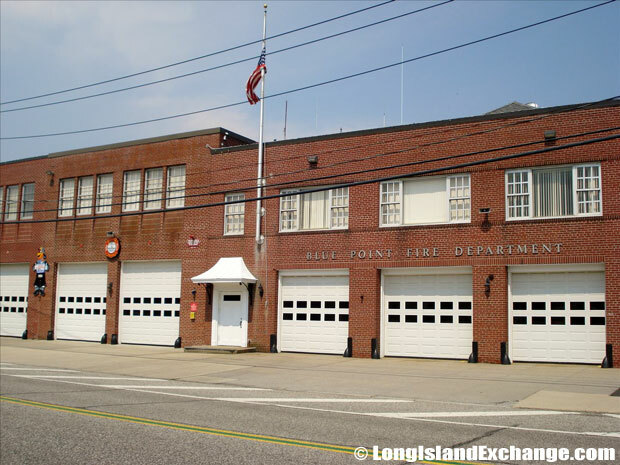 The Blue Point Fire Department was founded in 1890 and serves the Blue Point Community. The Blue Point Fire Department responds to many water rescues each year as well as structure fires and automotive collisions. Resident ancestries include Irish (30.0%), German (28.9%), Italian (26.9%), English (10.6%), Polish (4.3%), and Scottish (2.4%). Blue Point is a place that can meet everyone’s needs. With plenty of shops, fine restaurants, and overnight rooms for guests that come from out of town. 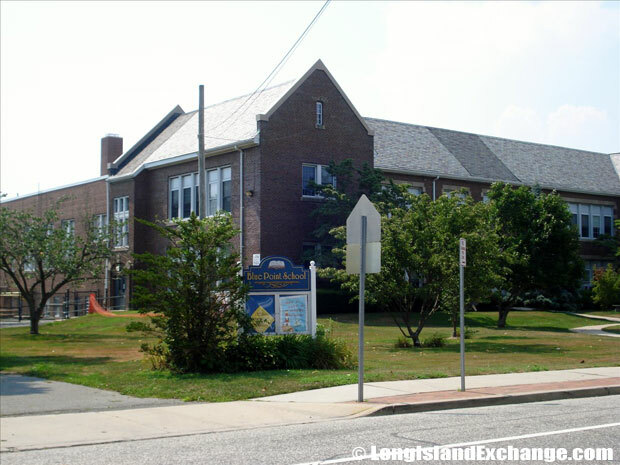 The Blue Point Plaza is on Montauk Highway; the fire department, library, and elementary school are on Blue Point Avenue. Blue Point Avenue, a main road with shops and restaurants in Blue Point. 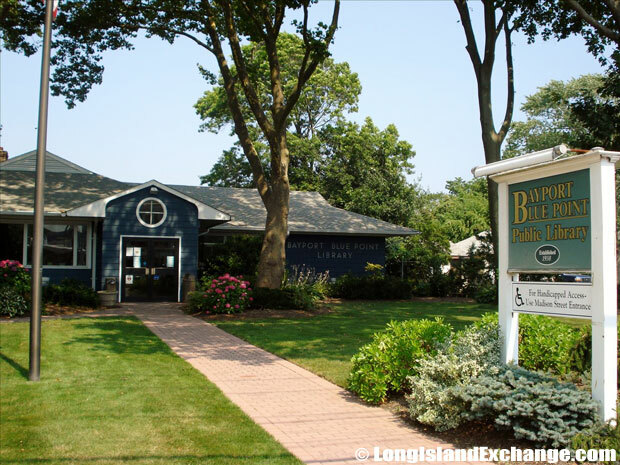 The Bayport-Blue Point Public Library at 203 Blue Point Avenue. Display cases in the east wing of the library change monthly. Stop in to see the latest displays from local residents. 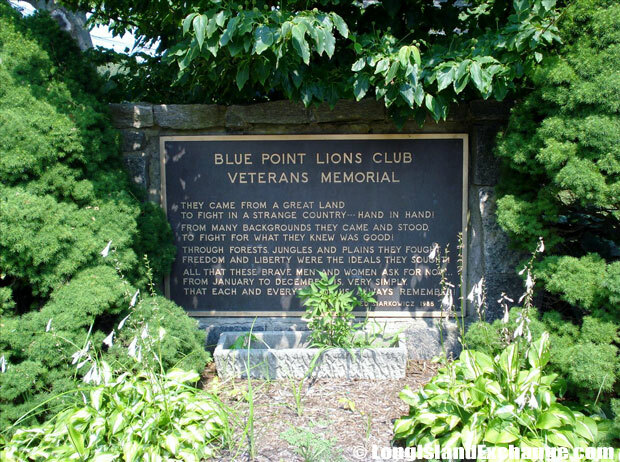 Blue Point Lions Club Veterans Memorial includes a poem dedicated in 1985. Blue Point is served by Bayport-Blue Point School District. The district offers good educational programs and dedicated to educational excellence with around 2400 students, kindergarten through grades 12th. There are 3 elementary schools, and 6th through 8th middle school, and a 9th through 12th high school. The Bayport-Blue Point Teachers’ Association has also enjoyed a long tradition of service to the community. They were acknowledged for a number of projects that includes nine scholarships which are awarded annually to high school seniors in memory of their former colleagues. 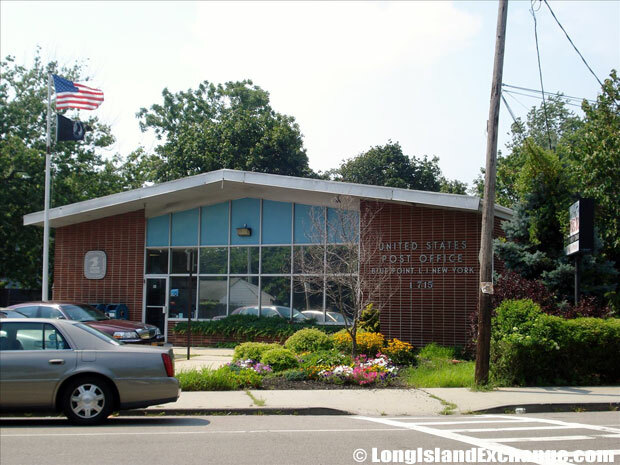 Blue Point Post Office at 141 Montauk Highway, was built in 1956. Blue Point Fishing Pier at the end of Blue Point Avenue. The Center for Visual Arts is a fine arts school which enhances the extra-curricular activities of each student that focus on teaching drawing, painting, and sculpture. It also offer classes for ages 3-adult, summer camps, birthday parties for children and adults, group events such as girl and boy scouts, home school programs, and private lessons. 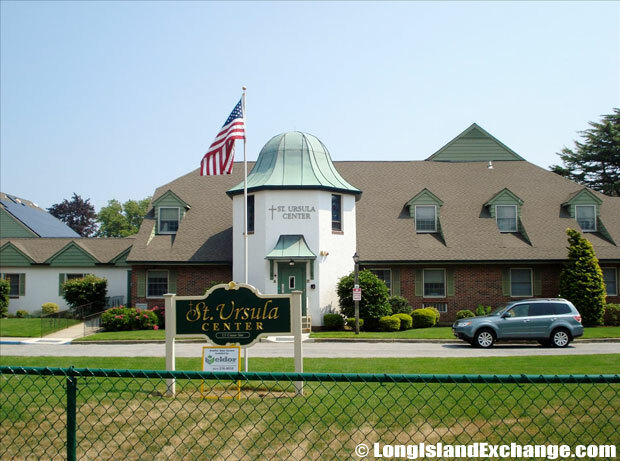 The Blue Point Ursula Center, at 186 Middle Rd, Blue Point, is a place of retirement and care for Ursuline Sisters of Tildonk. The original building was destroyed by fire in 1980, but a new convent was built and dedicated as a retirement home and retreat center in 1982. Blue Point is home to the Blue Point Brewing Company. It is a microbrewery that offers a variety of beers including seasonal brews, as well as a ‘tasting room’ which is open to the public on Thursdays, Fridays, and Saturdays. 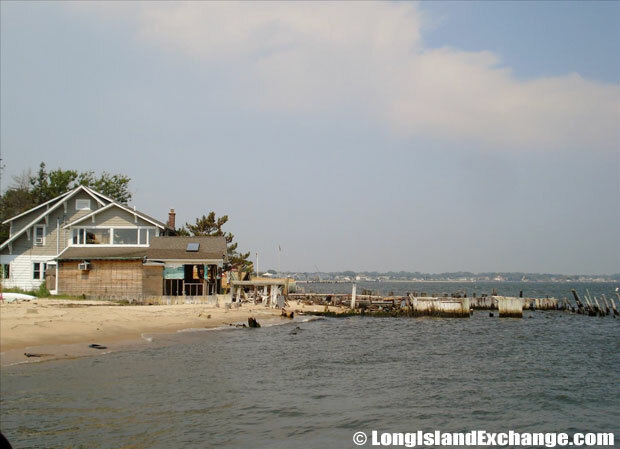 The Blue Point Oyster is very famous for its world renowned delicacy. It is originally named for Blue Point, Long Island, where this oyster is said to have been first found. “Blue Point Oyster” is now used as a general term referring to any of many small Atlantic Oysters from 2 to 4 inches long. 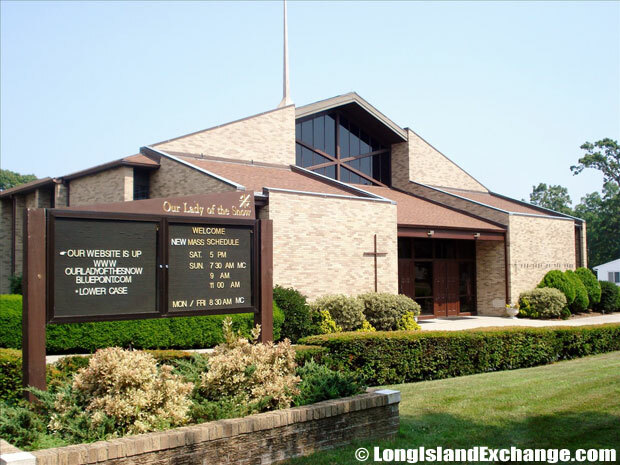 The community of Saint John’s Greek Orthodox Church is located on 77 Montauk Highway in Blue Point NY. 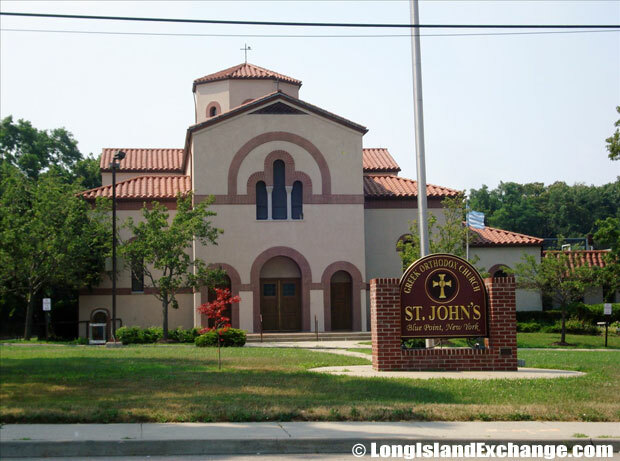 St John’s was the first Christian Orthodox community established in Suffolk county in 1940. Our Lady of the Snow Church, built in 1917, traces its history back to the early seasonal influx of summer visitors during the 1920’s and 1930’s to Blue Point and Bayport to escape the heat and humidity of New York City. Well-known restaurants within the area are Cavanaughs, Firehouse Deli, and Mazzei’s Restaurant. Cavanaughs is one of the best restaurants in town that serves great quality of food and their chef and staffs are very friendly and competent. 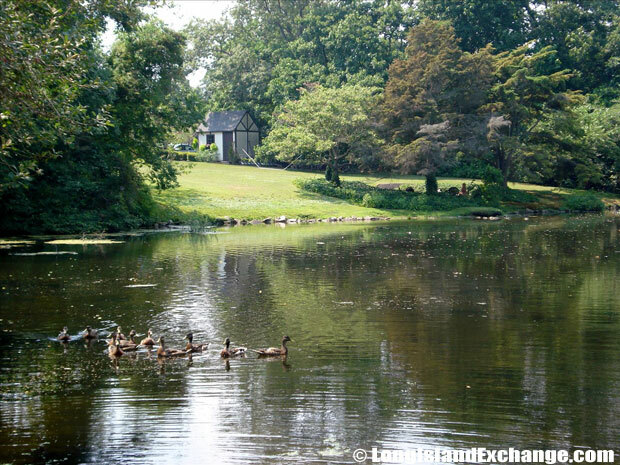 The Bayport-BluePoint Chamber of Commerce helps to encourage, promote, and enhance the economic posture, environment, and cultural heritage of the Bayport-Blue Point area.